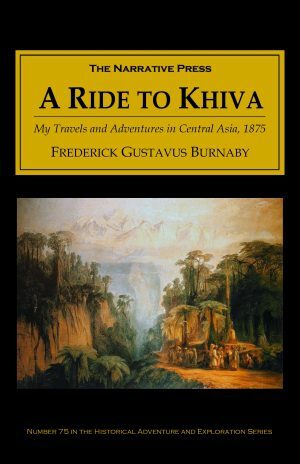 Sir Richard Francis Burton, born in 1821, was perhaps the most colorful British explorer of the 19th century. A tall man, with broad shoulders, a large head, and a drooping black mustache, he was a swordsman, a drinker, a brawler, and a practical joker. As a young intelligence officer in India, he stunted his military career with a report on homosexual brothers in Karachi, but he learned at least nine languages (not including the 60 words of monkey he picked up from his pet troop), and he developed a habit of wearing disguises to go where white men were not welcome – in Mecca he posed as a Pathan born of Afghan parents in India. One of his best-known, but most unhappy explorations was with John Speke to find the source of the Nile. 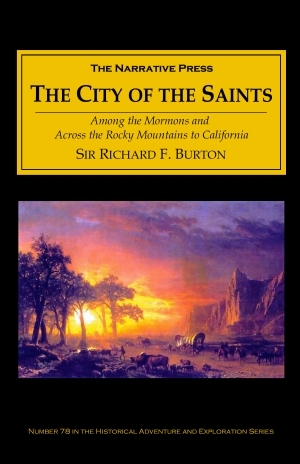 In 1860 Burton left England and his fiancé to explore the American West and visit the Mormons. His descriptions of the land and people are better than photographs. The Sioux are tall men, straight, and well-made: they are never deformed, and are rarely crippled, simply because none but the able-bodied can live. The shoulders are high and somewhat straight; the figure, is the reverse of the sailor’s, that is to say, whilst the arms are smooth, feeble, and etiolated, the legs are tolerably muscular…The feet being more used than the other extremities, and unconfined by boot or shoe, are somewhat splay, spreading out immediately behind the toes, whilst the heel is remarkably narrow. They tread, like the anteater, more heavily on the outer than on the inner edge. During his three weeks in Salt Lake City, Burton attended services and dances, checked prices in stores, and wandered through cemeteries. Polygamy interested him keenly. He compares it to what he has seen in other cultures – he knew African chiefs with 300 wives, and had visited the inside of a Moslem harem. 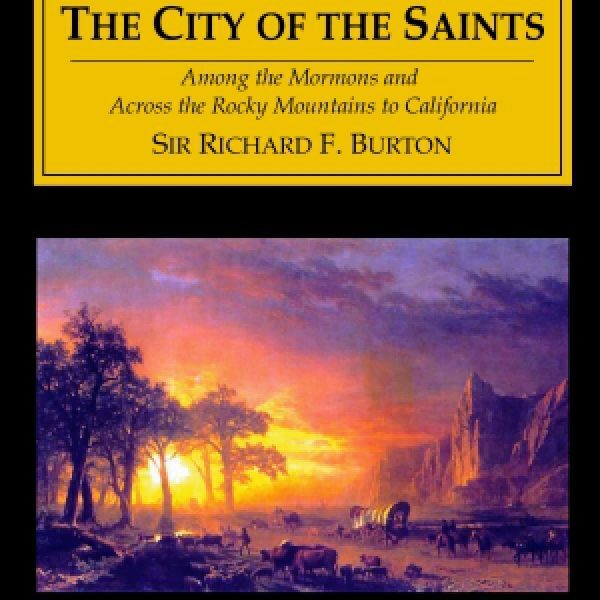 While in the city, Burton got to know Brigham Young and describes the man – his appearance, mannerisms, and character – in astonishing detail. There is a total absense of pretension in his manner, and he has been so long used to power that he cares nothing for its display. Lively, detailed, and highly entertaining, The City of the Saints is a wonderful report.